It had been several years since we had walked and enjoyed the charms of the aptly named Peak District in central England. With a couple of weeks free in early July we decided to change this and duly booked site number one at our Camping and Caravan Clubs site at Leek for four nights. 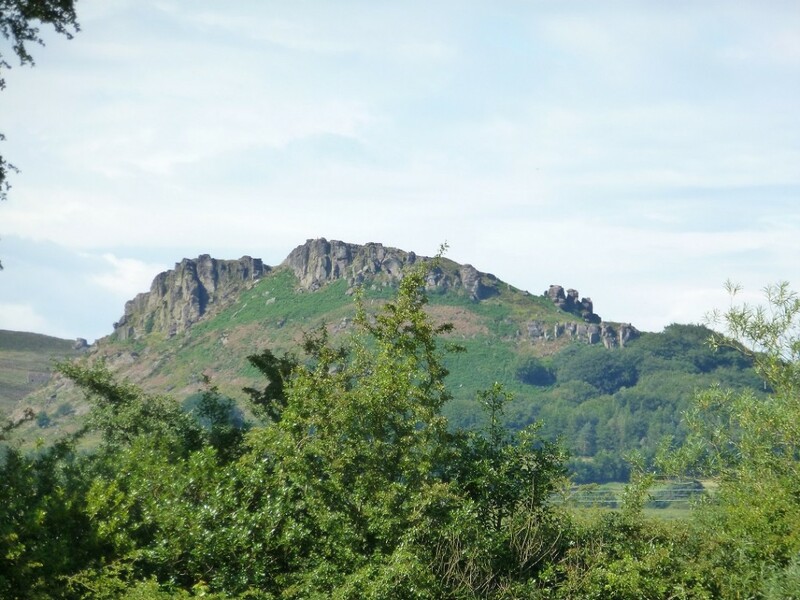 Although in Staffordshire and strictly just outside the National Park you are still within sight and easy walking of old favourite tops like The Roaches and Hen Cloud. As we had walked these imposing high gritstone edges before we set off on pastures anew and braved the heat of a mid- summer heatwave and strolled over the fields on well signed trails to the nearby (about 3 miles away) old market town of Leek. With its street market on Wednesday it’s probably quite a bustling little town, we went on a Monday when it was much quieter. With several eating places ranging from pubs, hotels and cafes it’s easy to satisfy the inner person, we went upstairs in the quaint aptly named Market Café, the Toasted Teacakes to be recommended. 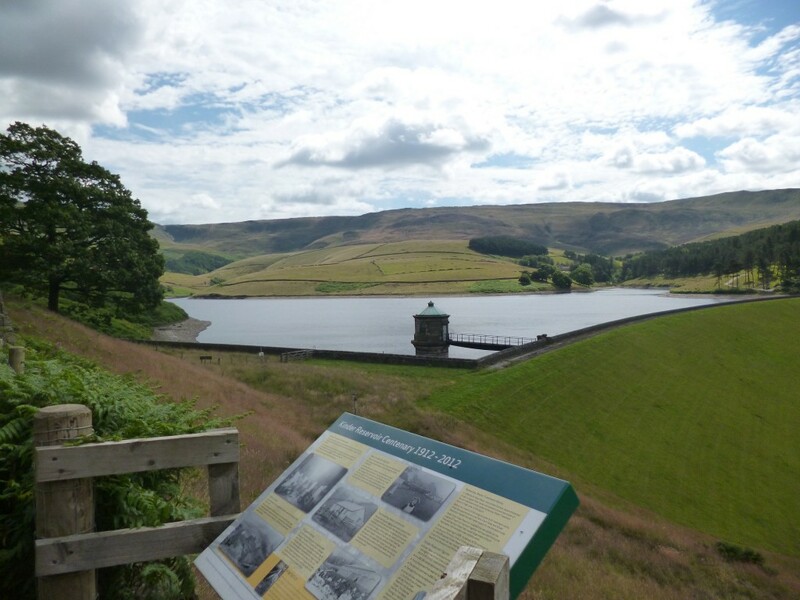 A similar distance walk from basecamp across fields and along country lanes takes you to the picturesque Tittesworth Reservoir. Created by damming the River Churnet in 1963 it is also a centre for numerous walking trails, some short, some longer with views out across the lake. 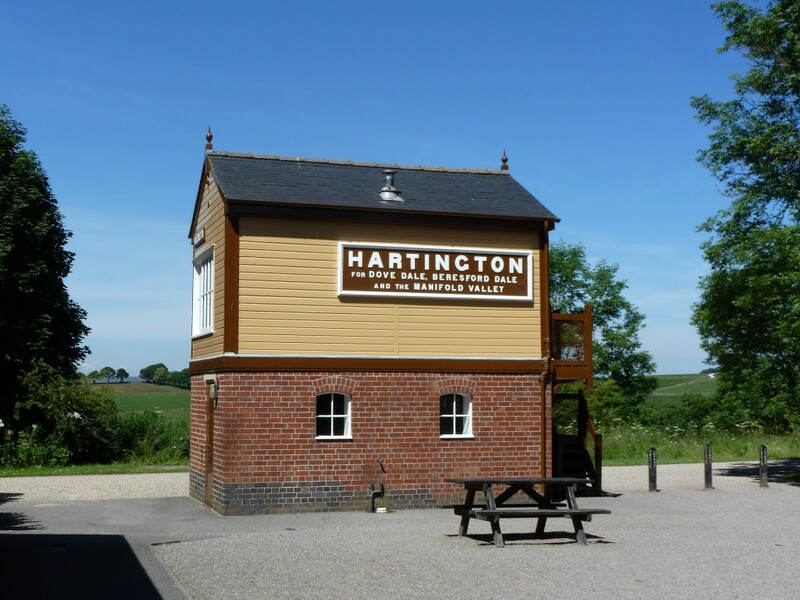 With a well stocked Visitors shop and Information Centre, complete with open air or inside eating and drinking arears overlooking the woods and water it makes for a relaxing days outing. Near the northern tapering end of the reservoir where the little lane chops the top end of the water off is a small bird reserve. On either side of the water a short stroll brings you to a viewing hide, aptly named East Hide and West Hide. After a few days of local steep walking the difference in terrain from our native Norfolk started to make itself known on our stiffening legs. 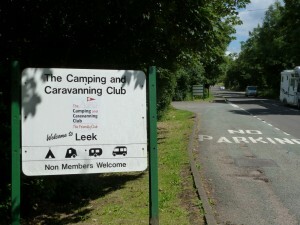 The time had also come to book the second and third sites, this was done by the Leek campsite Warden. We noticed all three of the C.C.Clubs site fees had increased by over 30 % from last year’s book prices. 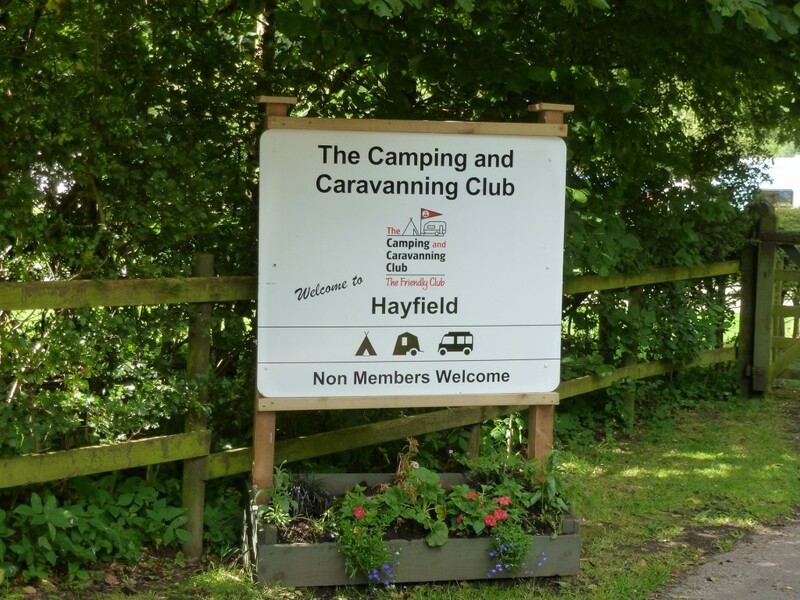 Second of our trio of Peak District campsites was the Clubs lovely Bakewell site, set in rolling grounds below Youlgreave it is a dream of a place. As we had plenty of time before booking in at the Youlgreave site, (as the club is quite strict on the no entry before 12 o’clock rule, a leaf from the French campsites book wouldn’t go amiss) we called in on the way at Hartington at the old railway station and had a walk on the Tissington Trail towards Parsley Hay for an hour. Well worth a detour anyway for the easy walking and spectacular views. 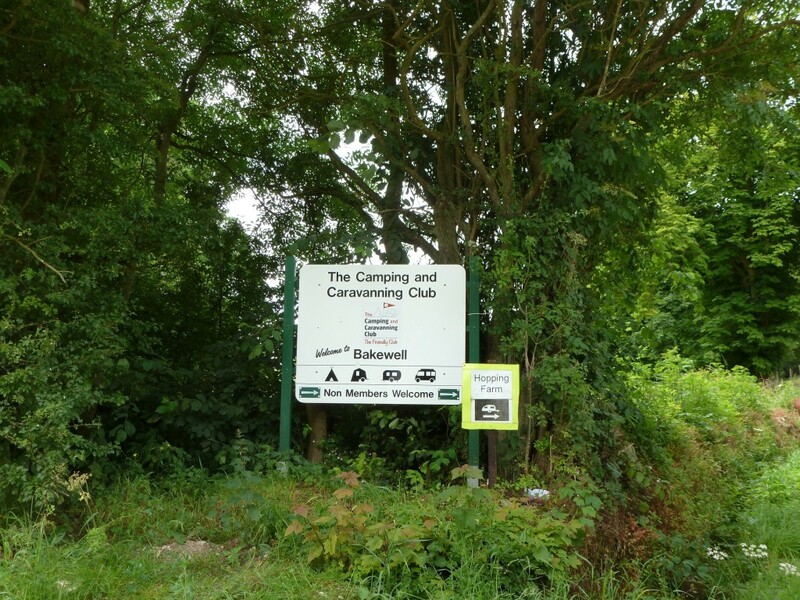 Once at the Youlgreave site, (actually called Bakewell Campsite) we were welcomed by the very friendly Wardens who offer a choice of pitches to suit your taste and needs. You are now in the National Park proper and walking is superb. A printed selection of local walks can be bought from reception and Ordnance Survey maps are available in the village. One short walk alongside the lovely River Bradford then a steep pull on a little lane takes you to the main street of the village of Youlgreave about a couple of miles away. Here all provisions (meats, bread etc.) can be purchased, as well as a choice of pubs, all providing meals and local ales. The Sunday morning car-boot sale is a little different than the usual field or car park type, this one having the stalls in people’s front gardens and the public wandering the narrow streets to find them. A great treat on Friday nights was the mobile Fish and Chip van visiting the campsite, what more could you want after a tiring day on the local hills. Next morning dawned with the promise of clear skies and a warm day. We decided to undertake a walk we had previously trod over twenty years ago, with much younger legs I hasten to add. 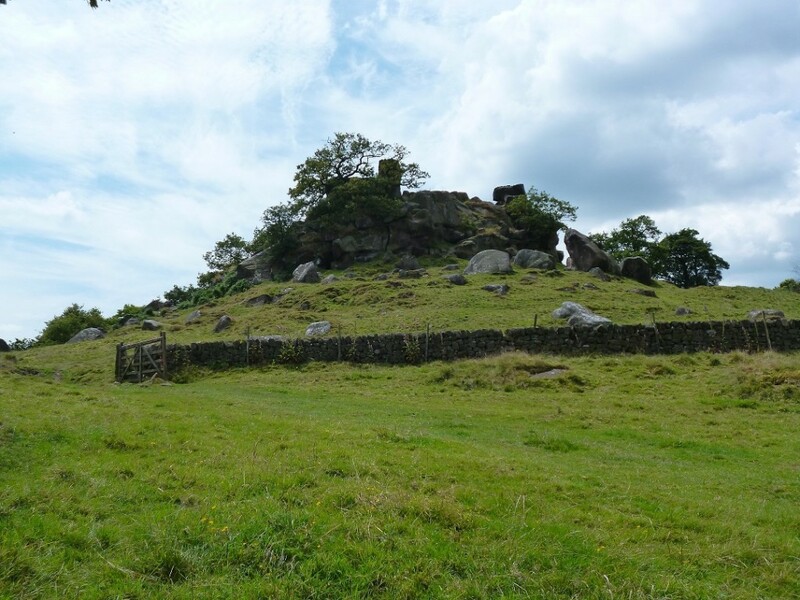 The walks apex is at a small rocky outcrop called Robins Hood Stride. Here you can watch novice climbers learn their tricks and skills. Our six mile walk took us along part of the Limestone Way, which is over fields and through lovely shady woods. 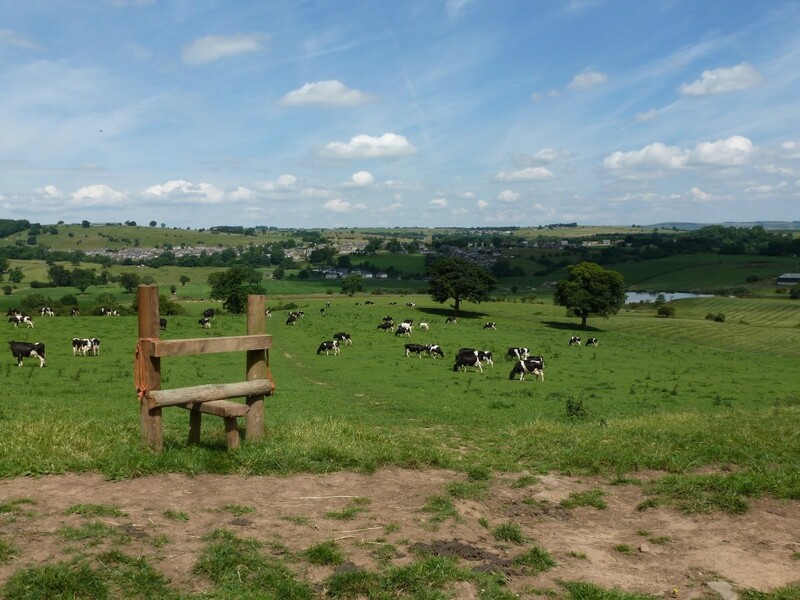 A novel sight we came across was a stile right in the middle of a field of cows with no recent sign of fencing or hedges connected to it. On such a hot day, as we had, this can be a somewhat tiring walk as there are some quite steep field sections to it. With no refreshment on the route suitable drinks/food are advised to be carried. After our day’s exertion and on returning to basecamp an ice cream and chill out time soon revitalized weary limbs. Further north lies the wilder High Peak or as it’s often called The Dark Peak. So called as its underlying limestone is topped with the darker Millstone Grit which in the wet of winter tends to turn the sphagnum bogs and peat areas black. This was to be where our third and final campsite was located. Set down a very hilly and windy lane, where caravans are forbidding to go, lies the C.C.Clubs Hayfield site. Again what a dream of a site, nesting beneath the mighty 2000 feet of Kinder Scout. After the lovely scenic drive over and round the little villages and dales from the Youlgreave site to the Hayfield site we soon made camp and set off on foot to explore the village about a mile away. 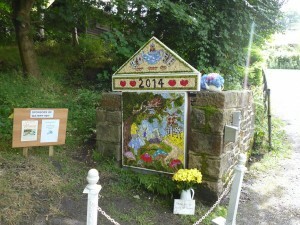 Our luck was in as it was Well Dressing Time, when all the old wells are decked with floral displays. There was a selection of pubs and little cafes (like people’s front rooms) cater for all tastes, we found The George pub served very good food, the menu even included “lighter sizes” for lunchtime. A voucher can be picked up at the campsite which gives 10% off the Georges meals. Next morning dawned bright and warm, so after breakfast outside in the early sunshine we set off for an energetic walk, (in all honesty most walks seem energetic to us nowadays), over to Kinder Reservoir then up to Snake Path and the moors. The Reservoir which is fed by Rivers Set and Kinder makes for some very attractive photos as it is in a lovely valley setting with sloping hills around it. On one side leading up to the summit of Kinder Scout you walk on an elevated panoramic footpath with glorious views across the water. 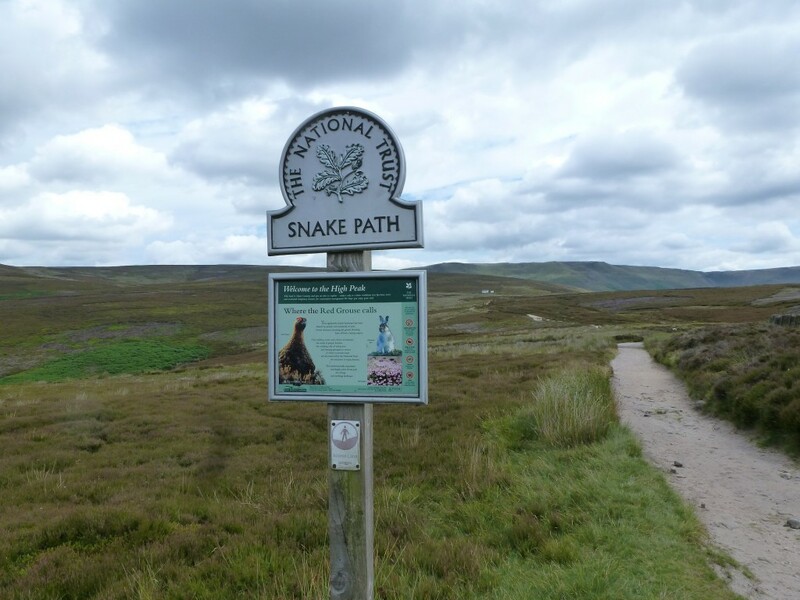 The higher walking that we were fortunate to enjoy in the dry sunny conditions on the moors could soon change quite dramatically if the clouds roll in, so caution is the byword. On returning to lower ground on the edge of the village a trial of the “Lighter Size” steak and ale pie and a pint of local bitter in The George topped the walk off a treat. With a dry day forecast for our last day we decided the short cycle ride to neighbouring town of New Mills was in order. The flat wide Set Valley Trial is on the old railway bed between the two towns and runs centre to centre with numerous seats and viewpoints along its way, more or less parallel to the river Sett. 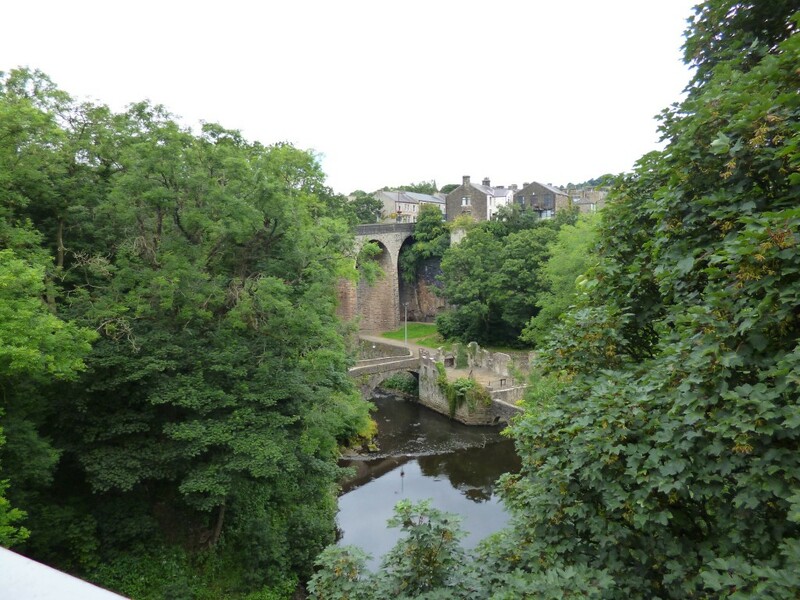 The town itself stands high above the Torrs, a seventy foot deep gorge. As the name implies the town has a strong (cotton) mill past with at least nine mills at the turn of the 19th century. 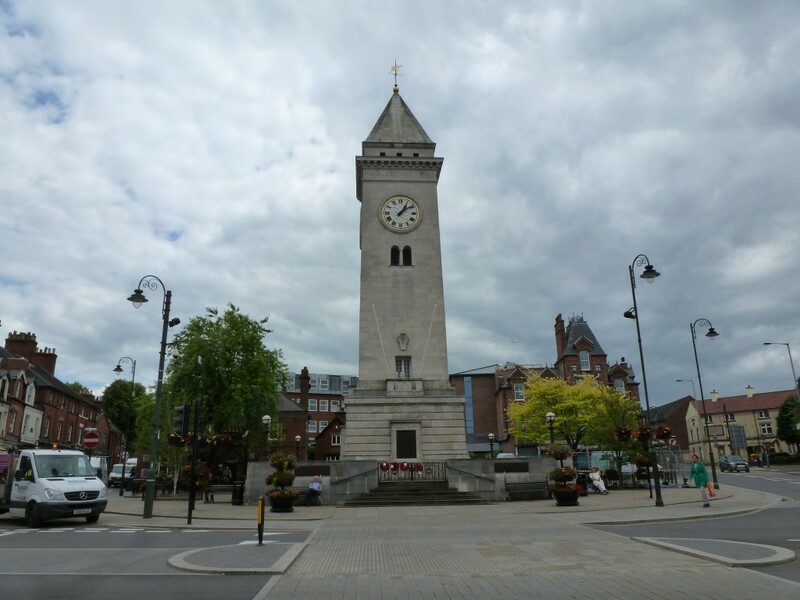 The modern day town has lost its earlier wealth but is still a busy little place with numerous shops (although several are charity shops), chip shop, café’s and pubs. After our eight mile cycle ride and back at basecamp it was time to reflect on what had been a very successful few days in this, the first of the countries National Parks. Perhaps we shan’t leave it to long till we return.